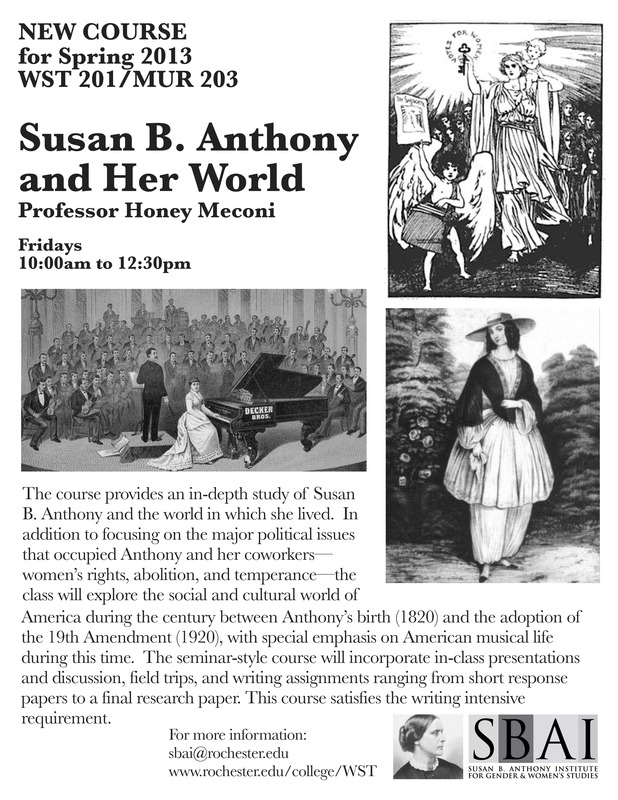 SBAI is thrilled to be offering WST 201/MUR 203: Susan B. Anthony and Her World for Spring 2013! Whether you already planned to take the course or you need a backup women’s studies course as other classes fill up, make sure you register soon. This entry was posted in SBAI Events and tagged #classes, #courses, #feminism, #music, #spring, #SusanBAnthony, #women'sstudies. Bookmark the permalink.